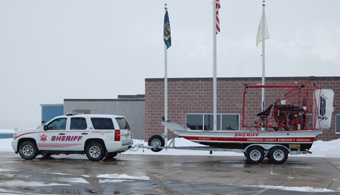 The Sheriff’s Office - Navigation Patrol consist of two (2) motorized patrol boats. 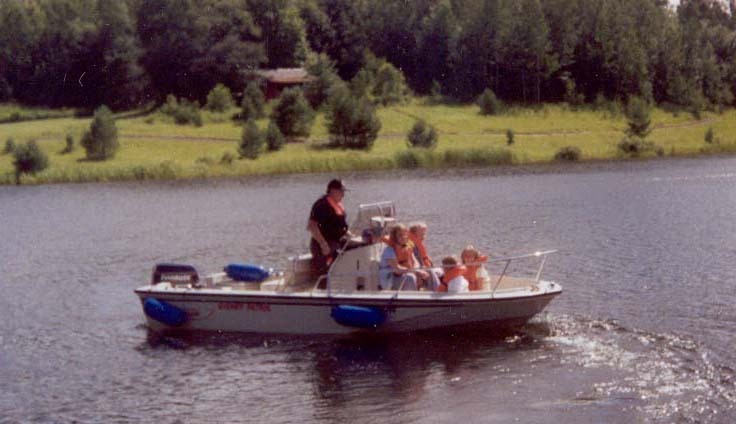 The first being a 1991 - 17 foot “ Boston Whaler ” boat. The second being a 2008 - 20 foot “American” air boat. Both boats are utilized by the Patrol Division for routine Navigation Enforcement, water rescues, salvage operations, flooding and demonstrations at the annual Sheriff’s Summer Camp. • Balsam Pond and Jackson Pond in the Town of Pharsalia. • Guilford Lake in the Town of Guilford. • Long Pond and Round Pond in the Town of Smithville. • Chenango Lake, Hunts Pond and “Meyers Park” in the Town of New Berlin. • Bowman Lake in the Town of McDonough. • The southern portion of the Chenango River in the Town of Greene.